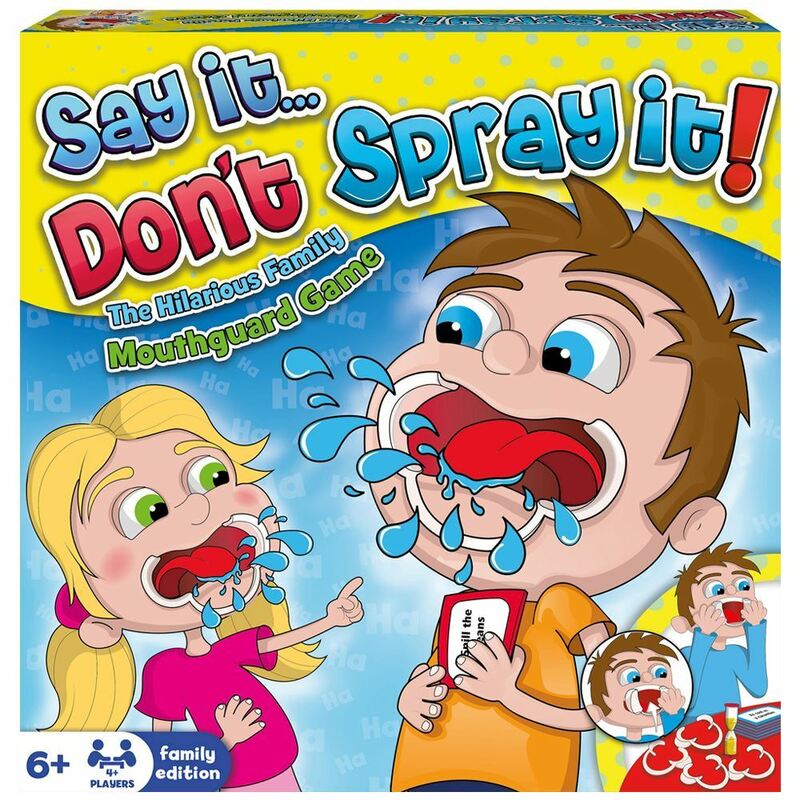 The hilarious family mouthguard game! The aim of the game is to correctly understand the phrase your teammate is trying to say through a mouth guard! Sounds easy, right? Wrong! The person with the mouthguard picks a card to read out and the rest of their team tries to guess what they are saying. When you guess correctly your team gets to keep the card. But if you pass, your opponents get the card. The team with the most cards is the winner! Set contains: 10 x mouth guards (4 large, 4 medium, 2 small), 100 double sided cards, 4 x plastic bibs, 1 x timer, 4+ players. Age 6+ years. Not suitable for children under 36 months. Small parts may cause choking. Adult supervision required at all times.